On January 1st, 1998, Mix Bookshelf closed its doors and Music Books Plus purchased their remaining inventory, customer list and the Mix Bookshelf web site. Mix Bookshelf is now in the capable hands of Music Books Plus. Music Books Plus is your best source on the Net for books, videos, CD-ROMs, DVDs, audio cassettes, software, posters, sound effects and apparel. 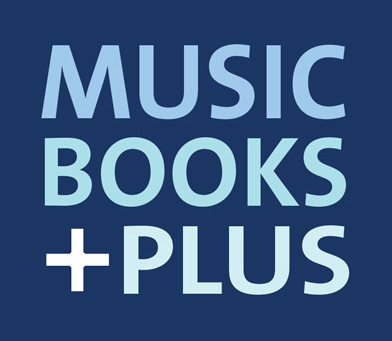 Music Books Plus offers over 14,000 titles on: Music Business, Instrument Instruction, Technique, Audio & Video Production, Recording, Lighting, Multimedia, Songwriting, Music Publishing, Biographies, Guitars, Keyboards, Percussion, MIDI, Live Performance, Spanish Titles, Jazz, Theory & Arranging, Voice, Sound Reinforcement, Fake & Song Books, Musicians Health & Fitness, Film Production, Broadcasting and much more. To add to their extensive online catalog, Music Books Plus also has new titles regularly, monthly specials, free monthly e-newsletters, free downloadable updates and flyers, a 30 day money back guaratee, world wide shipping and great customer service. Our Professional Recording section includes over 340 titles! In the Professional Recording section you can find recording encyclopedias, digital recording titles, mixing techniques, surround sound books, audio recording for profit titles, how to remix resources, multi-track recording, recording production techniques, recording techniques, sound recording information, audio mastering, engineering handbooks, recording vocal guides, studio business books, tips for recording musicians and so much more! Browse our Professional Recording section. Our Home Recording section includes over 65 titles on the areas of home studio design, digital home recording, home recording techniques, how to build a small budget recording studio from scratch, demo quality recording, making demos, sound advice on mixing, AudioPro Home Recording Course series, guide to recording acoustic guitar, guides to home recording and more! Browse our Home Recording section. Our Audio Production section features over 120 titles! The Audio Production section includes titles such as: Advanced Audio Production Techniques, Analog & Digital Signal Processing, Audio Engineer's Reference Book, Audio for Television, Audio Made Easy, Build Your Own Home Theatre, Complete Guide to Audio, Digital Audio Dictionary, Loudspeaker and Headphone Handbook, Sound System Engineering, Speakers for your Home and Automobile, The Microphone Book, Turntable Techniques, Vital Vinyl Series and tons more! Browse our Audio Production section. Our Audio/Recording Videos & DVDs section features over 170 titles in the areas of DJ mixing, remixing, live sound, digital recording, beginner series, home studios, studio equipment and much more! Browse our Audio/Recording Videos & DVDs section. Our Sound Reinforcement section features over 45 titles such as: Basic Live Sound, Church Sound Systems, Concert Sound & Lighting Systems, Live Sound Reinforcement, Sound and Music for Theatre, Sound for Stage, The Live Sound Manual, The Sound Reinforcement Handbook and many more! Browse our Sound Reinforcement section. Our MIDI & Synthesis section has over 130 titles to choose from! Here are just some of the titles you can find in our extensive MIDI & Synthesis section: A Musician's Guide to Pro Tools, Advanced MIDI User Guide, Acid Power!, Arranging Techniques for Synthesists, Cakewalk Pro Audio Power!, Composing Music with Computers, Cool Edit Pro 2 in Use, Cubase Power!, Digital Projects for Musicians, Electronic Music & MIDI Projects, Finale Power!, Macworld Music Handbook, Maximum MIDI, Twiddly Bits Series, MIDI Power!, MIDI for the Professional, PC Music - The Easy Guide, ProTools Power!, Quick Start Series, The MIDI Manual, Wizoo Guide Series and many, many more! Browse our MIDI & Synthesis section. Our MIDI Videos & DVDs section has a great selection of videos & DVDs from Korg, Roland, Yamaha and more! Browse our MIDI Videos & DVDs section. We carry over 75 Broadcast Technology titles! Our Broadcast Technology section is another great place to visit if you are looking for titles on broadcast engineering, broadcast sound, copyrights and trademarks for media pros, digital TV, digital video & audio compression, fiber optics, multimedia and communication technology, radio design, radio production, radio - television - cable management, telecommunications, television fundamentals, television programming, writing for television and radio, etc. Browse our Broadcast Technology section. We carry over 15 Multimedia Production titles! If you are interested or work in Multimedia Production then you must visit this section and check out our great selection of titles such as: 3-D Sound for Virtual Reality & Multimedia, Absolute Beginners Guide to Multimedia, Build Your Own Multimedia PC, CD-I Designer's Guide, Computer Animation, Creating Multimedia Presentations, Multimedia Demystified, The Business of Multimedia, The Sound & Music Workshop and many more! Browse our Multimedia Production section.